Activity has increased and buyers are finding great deals. 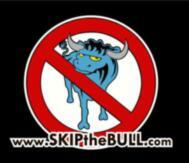 Visit www.SKIPtheBULL.com today and find your dream home before someone else does! IT'S ONLY A BUYERS MARKET IF YOU BUY!!!!!!!!!!!! !